Whether it’s transactional or marketing email, or if you’re sending 100 or 100 million emails a month, making sure your messages are getting to your recipients is essential for any business. 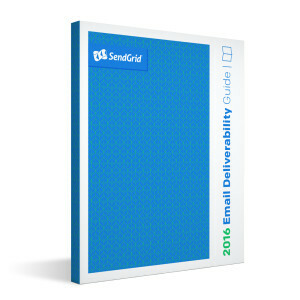 SendGrid’s Email Deliverability Guide has always been the best resource for improving deliverability, and we’ve improved it for 2016. ReturnPath’s 2015 Deliverability Benchmark Report recently stated that 21% of all legitimate, wanted emails go missing or end up in the spam folder. We want to make sure that isn’t happening to your messages. For SendGrid’s 2016 Email Deliverability Guide, we worked with our internal Delivery Consultants, Luke Martinez and Taylor Ferguson to refresh content, provide new insights, and provide you with key steps you can take to improve your deliverability. 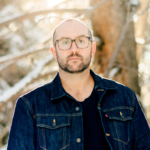 Reputation – Learn what aspects of your email program ISPs are paying attention to so that you can make changes necessary to getting them to deliver your email. Infrastructure – Setting up your email program with the right email streams and IPs is essential for any business. Authentication – Making sure your IPs and messages are authenticated correctly with SPF, DKIM, and other records will let ISPs know your messages are coming from the right person. Your Messages – The last piece of this puzzle is the content you’re sending to recipients. See what you need to focus on in order to maintain happy readers and continue getting your emails in front of them. As we’ve always said: There’s no magic bullet that’s going to get all of your email to the inbox. Fortunately, there are a few steps and considerations that can help you. SendGrid’s 2016 Email Deliverability Guide will help you polish your email program so that it’s successful. Download your copy of SendGrid’s 2016 Email Deliverability Guide today so you can make sure your messages are getting where they need to be.